Rick Neild and Lisa Hamant were amazed after four separate rooms were transformed into one multi-functional modern kitchen. 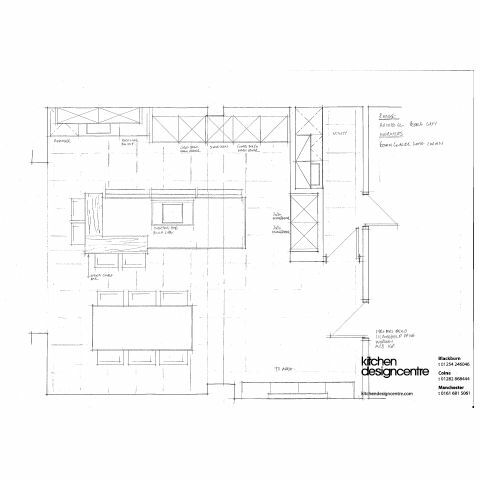 Originally, they commissioned Kitchen Design Centre to turn their traditional kitchen into a more practical room – to be used as a family gathering point. But the end result was that the old kitchen, utility room, dining room and an unused area was transformed into one all-purpose luxury living space. 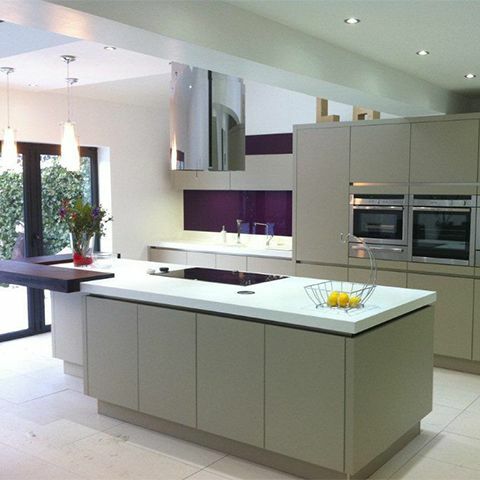 “Kitchen Design Centre exceeded my expectations – creating a fantastic spacious room with many uses,” said Rick. As well as an “island working space” in the centre of the designer kitchen, there is a dining area and glass door that allows light to pour into the room – creating a bright and homely feel. 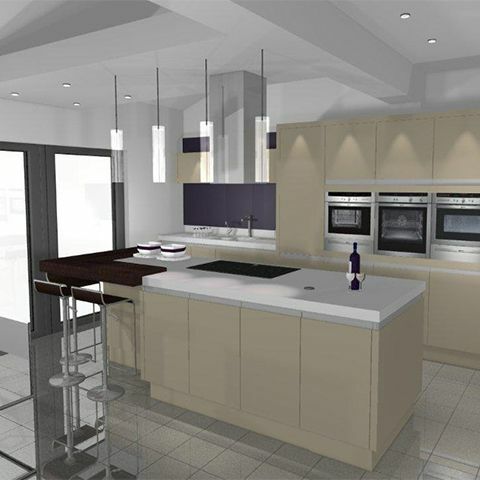 “I liked to the way Kitchen Design Centre came out to our home and were concerned about every little practical detail. They even went as far as to suggest cupboards and appliances appropriate to our heights. “Emma, Designer at Kitchen Design Centre, said: “The final product was nothing like what the couple originally planned, but a collaborative effort between us, Rick and Lisa enabled us to create their dream kitchen. Rick is more than happy with both the end product and the help he received from Kitchen Design Centre. “I am extremely pleased with our new designer kitchen,” he said. “Every time someone walks into our house they are stunned by the transformation. "When we were shopping around, the intention was to build on our cozy old-fashioned kitchen. 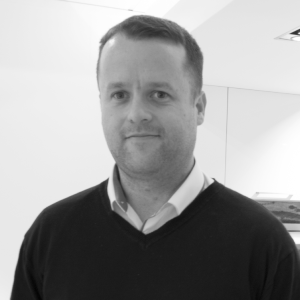 But when we visited Kitchen Design Centre there was such an exciting range of modern designer kitchens that we completely changed our minds." "The final product was nothing like what the couple originally planned, but a collaborative effort between us, Rick and Lisa enabled us to create their dream kitchen."